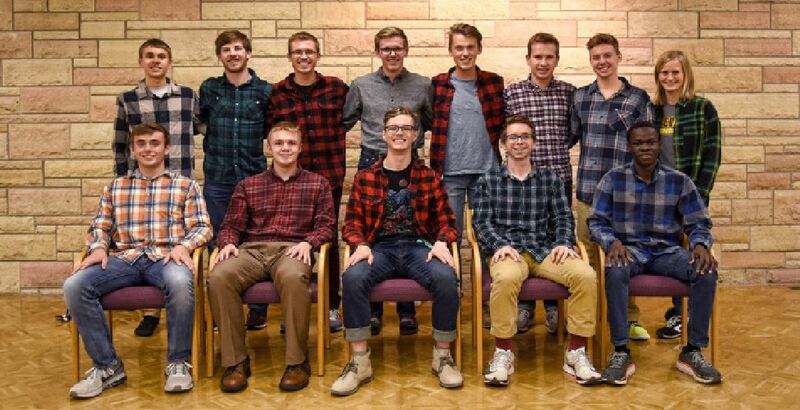 The 2018-2019 Concordia men’s cross country team. JIM CELLA. Some people turn to sports for pleasure. Some people turn to sports as an escape. Others, like freshman runner Nolan Christensen, start for very different reasons. School, Christensen has competed at the Minnesota State High School Championship Meet and become a mainstay for the Cobbers. He routinely finished as one of the top three runners for Concordia during the cross country season this fall. While he admits it was difficult to give up his time on the baseball diamond, Christensen has found a new path in the running world. That newfound love for running ultimately led Christensen to Concordia, where he helped the Cobbers to a seventh place finish at the MIAC cross country meet in October. But running isn’t about winning for this freshman. With track season around the corner, Christensen is working on improving himself by putting in time in the weight room and improving his form. At the end of the day, he knows that hard work is the only avenue to future success.